Ready…aim…fire! If this is what you expect when visiting Triggers and Bows’ shooting range, then you are almost correct. Whether you’re a member of our gun range or a guest that is looking for a new experience, our staff and facility offer you the best environment to practice your shooting skills or discover your hidden shooting capabilities. Our experienced staff stay by your side, step-by-step, to ensure you are comfortable throughout the entire process. Before you even enter the range we prepare you by providing you with the proper safety equipment to protect your eyes and ears while in the range. It’s important to wear this safety protection the entire time you are in the range so as not to cause any damage to your eyes or ears. 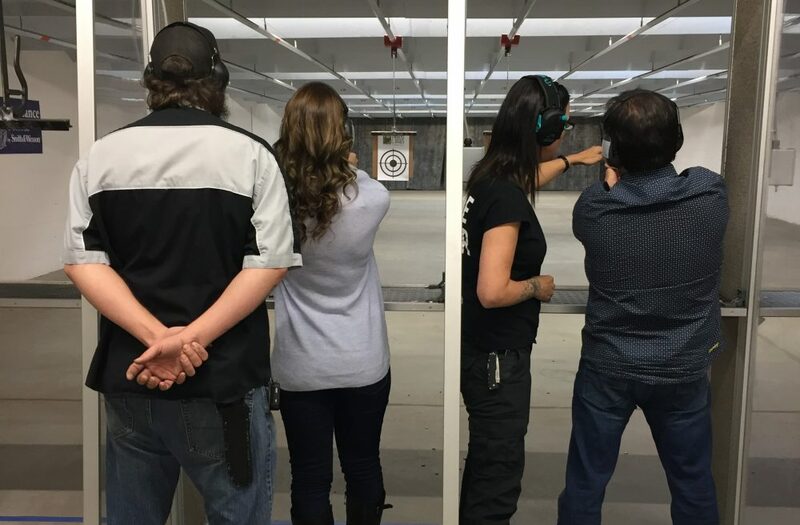 Once you enter the gun range, our staff teaches you the correct way to hold a gun including how to safely handle the firearm, properly release the safety and the position your hands should be in to avoid getting injured. Once you and our educator feel comfortable with your ability to handle the firearm, they will talk you through how to line up your shot with the target before you finally get to pull that trigger. This is where your ear protection comes into use as a loud pop goes off when you pull the trigger. This will most likely startle you the first time but once you are on your second round you’ll be used to the sound. It’s impossible to describe the feeling of shooting a firearm for the first time. A mixture of emotions pours through your body as you feel everything from powerful and strong to scared and fragile. One concern that many of our beginners have expressed is that they are nervous about the kickback. We know you’re only a beginner and we will not give you anything we don’t think you can handle. This is why we start out all of our beginners with less powerful firearms so that the kickback is not too powerful. 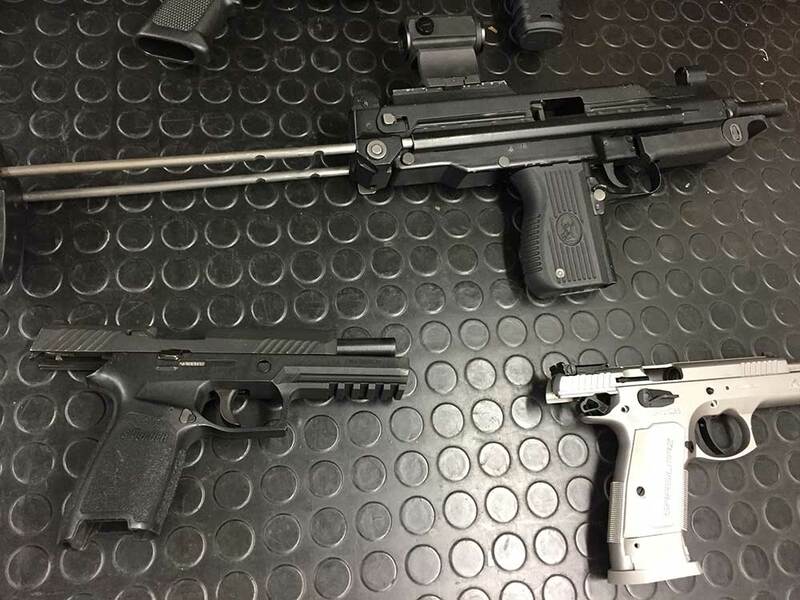 As long as you are holding the firearm correctly, and our staff makes sure that you do, you may not even notice the kickback. Once you feel comfortable handling a more powerful firearm we will introduce you to a stronger one. Your first shot, and even your first round, may intimidate you initially, but you will quickly learn, and eventually, you’ll be having so much fun trying to hit that bull’s eye, you won’t even remember any of your original concerns. 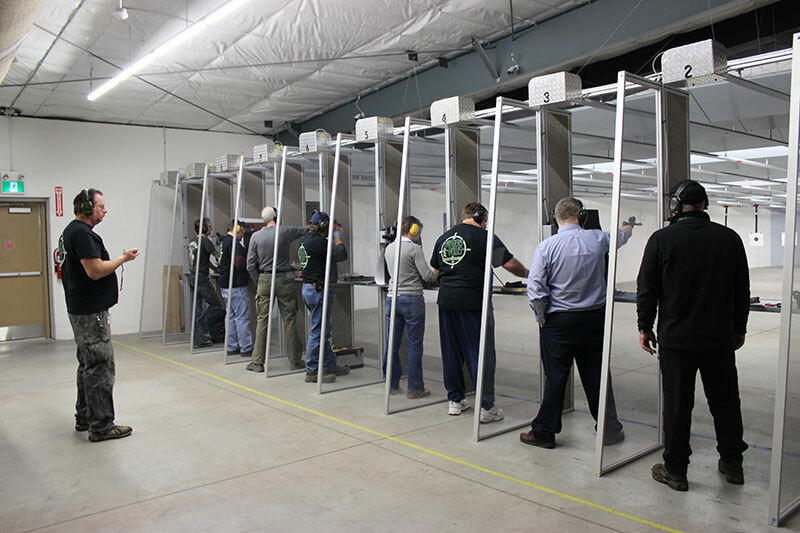 If you feel like shooting a firearm just isn’t for you then check out our archery range. We offer a variety of firearm and archery range packages for everyone to enjoy! Located in Burford, Triggers and Bows is just a short drive from Brantford, Woodstock and Simcoe. Plan your visit today! What Important Items Should Be In Your Gun Range Bag?